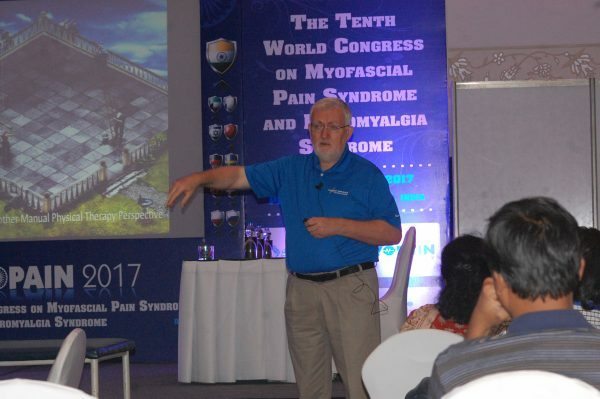 Myofascial trigger points are a common feature of nearly all pain syndromes, including fibromyalgia, and are characterised by persistent pain, loss of function and movement impairments. 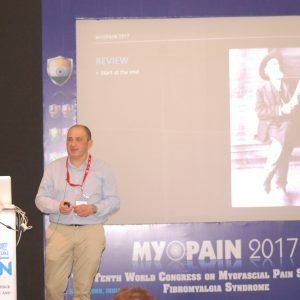 Myofascial trigger points are a common feature of nearly all pain syndromes, including fibromyalgia, and are characterised by persistent pain, loss of function and movement impairments. Treatment may involve manual therapy techniques, including dry needling or injections, correcting biomechanical and postural dysfunction, and restoring normal movement patterns. Dry needling is a skilled intervention that uses a thin filiform needle to penetrate the skin and stimulate underlying myofascial trigger points, muscular, and connective tissues for the management of neuromusculoskeletal pain and movement impairments. Dry needling is a technique used to treat dysfunctions in skeletal muscle, fascia, and connective tissue, and, diminish persistent peripheral nociceptive input, and reduce or restore impairments of body structure and function leading to improved activity and participation.